Make science come ALIVE! for kids with ASU's interactive Frankenstein200. 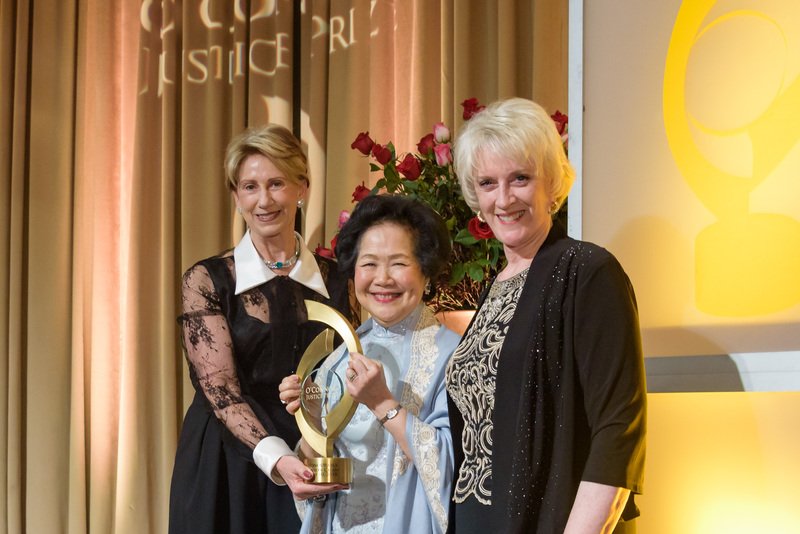 Anson Chan, a longtime Hong Kong dignitary and fierce advocate of human rights and the rule of law, was awarded the O’Connor Justice Prize in a recent ceremony at the Arizona Biltmore. And her powerful acceptance speech, detailing China’s increasing political censorship of Hong Kong, drew international attention. Known as “Hong Kong’s conscience” for her decades of devotion to social justice and democracy, Chan recounted how she and O’Connor had blazed similar trails that broke through gender barriers. While O’Connor was the first woman to serve as a state Senate majority leader and first to join the U.S. Supreme Court, Chan was the first woman to be appointed head of a Hong Kong government department, first female policy secretary and the first woman — as well as the first ethnic Chinese citizen — to be appointed head of the civil service. Barbara Barrett, former U.S. ambassador to Finland, is co-chair of the O’Connor Justice Prize advisory board and introduced Chan. Chan expressed concerns about Hong Kong’s independence, describing increasing oversight by the Chinese government. She pointed to the changes that have taken place in the two decades since the transfer of sovereignty from British rule in 1997, a transition that Chan helped oversee in her role as chief secretary for administration. Although she acknowledged that the British Hong Kong government was not without its faults, she praised it as a “corruption-free and caring administration, operating on a firm foundation of the rule of law.” She said the Hong Kong Special Administrative Region, known as the SAR, is now governed by the 1984 agreement that paved the way for the transfer of sovereignty. That internationally binding treaty was based on the “One Country, Two Systems” principle created in the early 1980s as a way to reunite communist China with historically capitalist territories such as Hong Kong, Taiwan and Macau. The treaty called for Hong Kong to maintain a high degree of autonomy, along with its capitalist economy. The O'Connor Justice Prize advisory board with the 2018 O'Connor Justice Prize recipient, the Honorable Anson Chan (center). But Barrett painted a different picture at Chan's ceremony, and highlighted the critical role Chan has played as a guardian of the “One Country, Two Systems” principle. Barrett then explained how Chan, like O’Connor, has taken it upon herself to lead the charge for freedom and human rights after leaving political office. Speakers throughout the night drew parallels between Chan and O’Connor. Ruth McGregor, retired chief justice of the Arizona Supreme Court, is co-chair of the O’Connor Justice Prize advisory board. Addressing the audience, she discussed the importance of an impartial and independent judiciary in guaranteeing human rights, and how O’Connor has worked tirelessly to ensure that justice systems across the globe are protected against unrelenting political attacks. ASU Law Dean Douglas Sylvester, a member of the advisory board, said that selfless worldview perfectly embodies the O’Connor Justice Prize. Chan underscored her concerns about China’s increasing oversight and how much is at stake for Hong Kong if the rule of law is threatened. As serious as those threats may be, Chan expressed hope for the future, and vowed that she and many others in Hong Kong will continue to fight for democratic principles. Chan concluded by likening Hong Kong’s perseverance to O’Connor’s and accepting the award on behalf of all of Hong Kong. Visit the website for more information on the O'Connor Justice Prize and its winners.